Demand for pharmacy technicians is expected to increase 9 percent through 2024. With so great a need, it is certain that graduates of pharmacy technician programs who also obtain national certification will secure employment within months of certification. 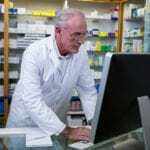 The addition of new drugs to the market, nationwide shortage of registered pharmacists, and the prevalence of chronic illnesses amongst the aging population are some factors that increase demand for technicians. National certification exams offered by the Pharmacy Technician Certification Board (PTCB) and the National Healthcareer Association (NHA) also contribute to the rise in demand for technicians as they give employers a standard for evaluating the competency of a new hire. Based on the Bureau of Labor Statistics’ projections, the workforce will comprise of almost 440,000 technicians to meet nation’s demands. 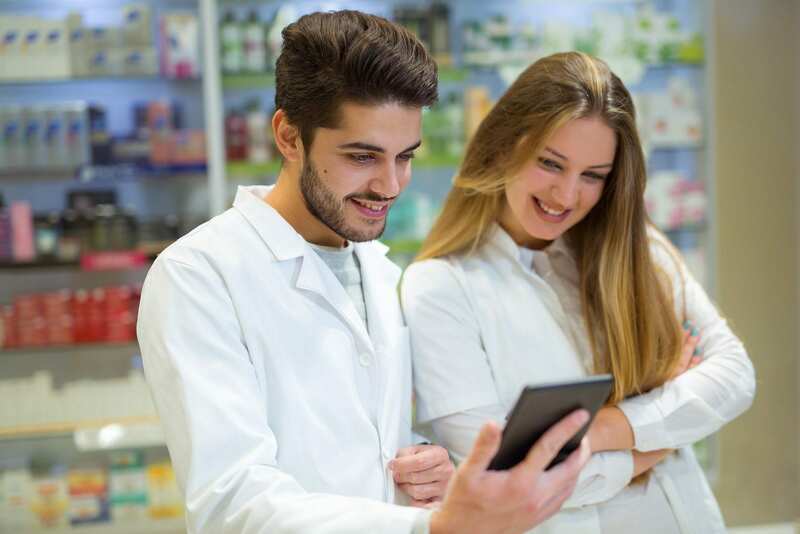 As multi-faceted members of the pharmacy team, technicians work alongside pharmacists and other staff to receive, read, and interpret prescriptions, assist customers, package and label medications, dispense prescriptions, maintain inventory, update patient profiles, and perform other administrative tasks. 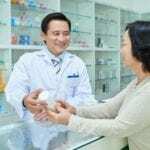 Technicians work in retail pharmacies, hospitals, long-term care facilities, online pharmacies, nursing homes, and pharmaceutical manufacturing companies. Tuition for the program is $3,800 and does not include the costs for fulfilling the clinical requirements. The Pharmacy Technician certificate at AIMS Education prepares students to support pharmacists in an institutional or retail pharmacy. Students will receive theoretical and practical hands-on experiences to prepare for the critical role where they will receive, prepare and dispense medications. The curriculum covers 220 hours total, including 100 hours in the classroom and 120 hours at a clinical site. It covers topics such as drug administration, drug classification, pharmaceutical terminology, pharmacy management, inventory control, and pharmacy law and ethics. The daytime schedule will be completed in 3 months. Evening students will complete the program in 4 months. Upon completion of the classroom theory, the Internship Department at AIMS will place students at an approved clinical site where they develop technical skills under the guidance of a qualified mentor. The clinical externship will take place during the day “normal business hours” for both daytime and evening students. Graduates are eligible to take the pharmacy technician certification exam administered by the Pharmacy Technician Certification Board. Brookdale Community College prepares pharmacy technician students for the Pharmacy Technician Certification Board Exam. The curriculum includes 114 hours of classroom lectures and 20 hours of practical experiences in an approved pharmacy setting. It will include instruction in compounding medications, reading and interpreting prescriptions, counting, weighing, measuring and pouring medications, packaging and labeling prescriptions, pharmacy calculations, pharmacology, pharmacy law, and the top 200 drugs. Students will also benefit from career development classes that include resume writing and interview skills. Classes meet Tuesday though Thursday for four months. The course is based on an evening schedule, meeting from 5:30 pm to 8:30 pm. Students must attend 85 percent of more of the classes and earn an acceptable score to graduate from the program. Tuition costs $1369 and includes the PTCB exam fee. Students must register in person. The pharmacy technician program at William Paterson University prepares students to enter the field of pharmacy. Graduates will be prepared for success on the Pharmacy Technician Certification Board’s exam. The curriculum will cover topics in pharmacy calculations, medical terminology, inventory control, IV flow rates, billing and reimbursement, reading and interpreting prescriptions, dosage calculations and does conversions. Other topics include the history of pharmacy, technician role and responsibilities, practice in various settings, pharmacy measures and abbreviations, routes and formulations, total parenteral nutrition, drug regulation and control, and drug names and drug classes. Classes meet on Tuesdays and Thursdays from 6:00 pm to 9:30 pm for two months.